« My Windows Phone 7 has arrived! 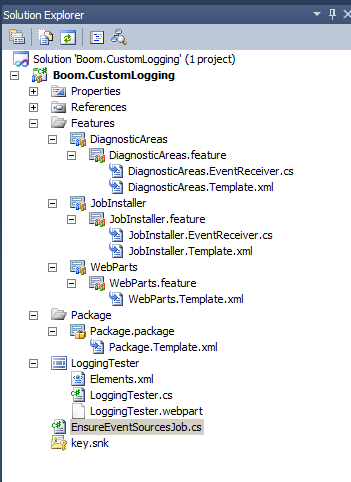 This entry was posted on November 23, 2010 at 13:59	and is filed under SharePoint 2010, Visual Studio 2010. Tagged: Diagnostic Are, Logging, SPGuidance, Timer Job. You can follow any responses to this entry through the RSS 2.0 feed. You can leave a response, or trackback from your own site. You better relate the timer job to the SPFarm.Local.TimerService instead of a particular WebApp. If not, the timer job will be created for each Web App in your Farm. do you know, if SP Guidance library is available for SP2016. We are upgrading our solution and we have used SP 2010 Guidance library which is based on .net 2.0. Now, we are targeting .net 4.6. Can you please let us know is these any SP 2016 Guidance library available.